Did 당신 find out about David Bowie before 또는 after Labyrinth? 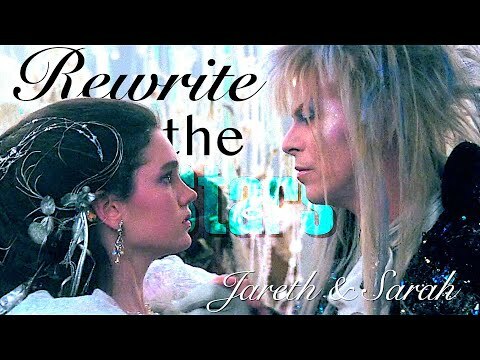 Do 당신 think that Jennifer Connelly(Sarah) had a tiny crush for David Bowie(Jareth)? Out of my fave J/S scenes which one is your fave? Sarah returns to the Labyrinth. Jareth comes to her. What's the first thing that he tells her? What happens when Jareth marries Sarah in the end of the story Survive 의해 Cormak (must read)? Go to website magic site of labyrinth to read. 1- Jareth: I ask for so little. Just fear me, 사랑 me, do as I say and I will be your slave. 2- Jareth: 당신 have thirteen hours in which to solve the labyrinth, before your baby brother becomes one of us... forever. 3- Jareth: I've brought 당신 a gift. Jareth: It's a crystal. Nothing more. But if 당신 turn it this way and look into it, it will show 당신 your dreams. But this is not a gift for an ordinary girl who takes care of a screaming baby. a comment was made to the poll: Do 당신 think Jareth is hot? a comment was made to the poll: Which of Jareth's outfits do 당신 prefer? a comment was made to the poll: Which dance? ATTENTION LABYRINTH FANS, NEW SPOT!!! !